Today’s question: can dogs eat spinach? Is spinach good or bad for dogs? Scroll down for detailed answers. Dogs eat such a variety of foods when living in a home with a person. On their own in the wild, a dog may stick to a carnivorous diet, eating any and all animals available to hunt and kill for dinner. In the event a dog is without a meat source, a wild dog will eat vegetation made available in the area in which s/he lives. 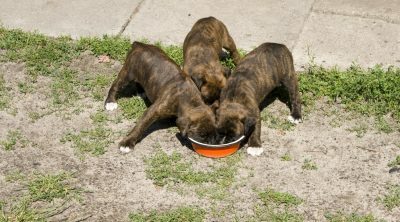 Now that dogs have become domesticated, dogs have evolved to become more omnivorous than previous generations of dogs. Dogs have also evolved to be a bit more able to tolerate human food we tend to offer all the good dogs out there. 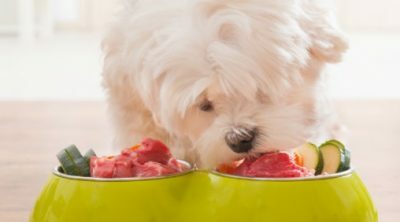 With so many dog owners offering their food to their pups, how are dog owners to know which foods are safe to offer their favorite dog? Dog parents must look into their dog’s specific breed, size, and disposition to discern which foods dogs are able to tolerate. 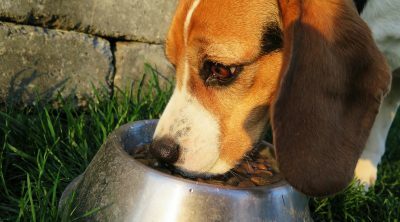 From there, you must read about the foods specific to your dog that may cause harm and even death. 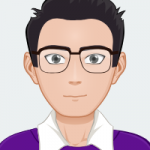 Speaking with a vet on the topic of sharing food is also a good idea given that the knowledge a vet has on particularities of dogs is sure to be reputable and help you along the way. How to Serve Spinach to Your Dog? We are going to talk about the uncertainty that seems to float continuously around spinach. Is this delicious vegetable good for our canine friends or should we keep them away from it? We know that it is a leafy green that brings a great amount of benefits upon us, but can our dogs also enjoy it? Well, the answer is yes. Dogs can actually enjoy it and it can be as powerful for them as it is for us. 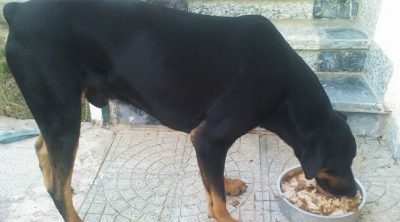 A dog owner is much more likely to share his food with his dog in the intimacy of his home. Why is this phenomenon so wide spread around the world? Maybe it is because we cannot stand when a dog looks at us while we are eating our meals. Perhaps because we see our pets as peers, or as children, and we wish to share our food with them, we tend to offer food more often than we have been advised. The simple fact that we are dog lovers will impede us from enjoying a meal while our beloved pet is staring at us. However, moderation seems to be the key in this case too. Usually, dogs are not really into these leafy greens, but if your dog will eat, want, and enjoy spinach then offering your dog a bit is great! 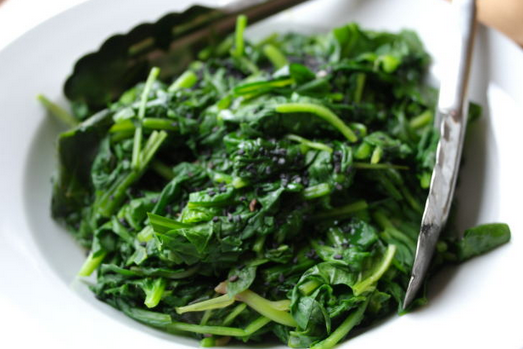 Spinach can be used in many different recipes, and in many different ways to your dog. If your dog will take the leaf and eat the spinach this way, feel free to offer a few leaves while preparing your next salad. If your dog prefers food that is more soft and malleable, you can steam or purée the leaf and add to his/her kibble. Your dog may or may not eat dry leaves mixed in with kibble, but moist food may disguise spinach leaves a bit if you insist on adding this veggie to your dog’s diet and s/he is not so sure. When offering spinach for the first time, be sure your dog is able to tolerate the leafy green. Adding veggies to your dog’s diet should be a slow process and started out in small manners. Offering a bit to your dog is a good start to incorporating the veggie into their diet. When you have determined your dog is able to process the veggie without issue, you may offer a larger serving. Only offer spinach on occasion and after you have determined s/he will not suffer stomach upset. You should also let your trusted vet know at your next visit that has begun to supplement the diet of your dog. Your vet should be aware of any and all food your dog is eating. Spinach contains a great amount of vitamins such as vitamin A, B, C and K. Spinach also contains beta-carotene and many fibers which have the ability to stimulate the intestinal tract and promote the process of defecation. This is valid for both humans and canines. Having a digestive system that works properly not only makes for a more comfortable dog, but a dog with a stronger immune system and an overall healthier body. Dogs that are able to release potential toxins from their bodies on a regular basis are then able to live longer and healthier lives than those who harbor toxins and waste. For dogs, vitamin C and K act in a different manner; they will work in promoting the health of the bones. Bone health is important in your pup, especially a dog that has advanced in years. Bones weaken in dogs faster than in humans since dog’s bodies’ age a bit quicker than their human counterparts. 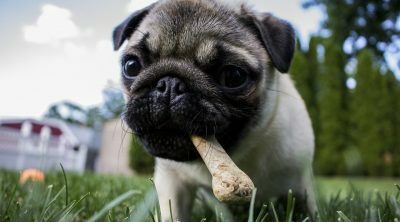 Keeping care of your dog’s bones will benefit you both greatly over time. If your dog is anemic, then you should feed him/her with a bit of spinach every now and then. This wonderful leafy green is loaded with great amounts of iron, which is the component that lacks when a body is suffering from this unpleasant condition. Iron helps blood content and overall health in dogs in a way most other minerals do not have the ability. Adding folate into the nutrition equation and you have a natural treatment for the circulation of the blood and for anemia. Blood circulation in dogs is as important as with humans and should be cared for by all means necessary. Spinach is an easy and natural way in which you can improve your pup’s blood functioning without resorting to medications. Spinach is also a great source of lutein and zeaxanthin, two components that are great for the vision of your dog. Dogs tend to lose their vision ability faster than humans because over time, the eyes of the dogs age quicker and tend to deteriorate. Adding spinach and nutrients to your dog’s dinner may help prolong the health of his/her eyes. Nutrients in spinach also have an antioxidant effect, which will offer protection for the retina from the damaging processes that will occur in time and improve your dog’s ability to see. Of course, just like with any other matter, there are some controversies with spinach too. Apparently, some people believe that spinach will block the absorption of calcium in dogs. The one thing that should be mentioned in here is the fact that spinach is indeed high in oxalic acid, which in high quantities will prove to be harmful and toxic to dog’s kidneys. Do not feed your dog a large amount of spinach or feed on a daily basis. But given the fact that dogs will not usually eat such a large amount of spinach, there will be absolutely no danger for consuming it. 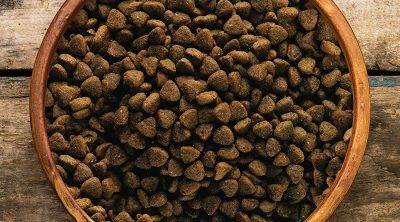 Eating a small amount of the veggie will not be cause for concern to dogs without kidney issue. If your dog has problems with his/her kidneys, do not feed the spinach to your dog without first speaking with a professional. Humans love spinach on its own, in salads, on sandwiches, and baked into casseroles. How can we add and serve spinach to our dogs? If you have decided to give your dog some spinach, here a few ideas on how to prepare the spinach to make it more delicious for your furry friend. Raw vegetables are more likely to upset your pet’s tummy than cooked ones, so cook the spinach before you share it with him. The process is simple, you can either steam it, stir fry it or even juice it. Either way, he/she is going to love it. However, just like for us, humans, it is not good to boil the leafy green, as it will end up in your dog’s plate with most of the nutritional values lost during the boiling process. Not to mention that the taste will not be that good and your dog might refuse to eat it. It’s also a good idea to mix the cooked spinach with his existing food to help ensure he won’t pick them out or you can puree them in a food processor and pour them over his dinner. To make it easier to eat and digest it, we recommend chopping the leaves. In any case, you should avoid feeding raw spinach to your dog because not only will it be difficult to digest, but it will also cause some discomfort in his stomach. Coming back to the original question, yes dogs can eat spinach in moderation. Dogs can also eat small portions of other leafy vegetables such as kale, Swiss chard, collards, turnip greens and lettuce (Romaine). As a matter of fact, these are some of the best leafy greens to feed your dog. However, keep in mind the fact that you should not exceed the recommended amount. A larger amount of spinach might cause stomach issues, as well as a potential diarrhea. Additionally, remember to introduce any new foods gradually and in small amounts. Monitor your dog afterwards for any unusual behavior, stomach discomfort or loose stool. If you don’t see any suspicious symptoms, you can continue feeding him the new food. Can Dogs Eat Bell Peppers? 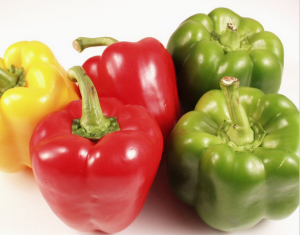 Are Bell Peppers Good Or Bad For Dogs? My lab and husky always beg for spinach, then quickly spit it out, and then come back and beg for some more. However their new addiction lately is cucumber. How much exactly is too much? What consists of a high amount? I have a 10lb toy aussie, i filled the kong with blended peanut butter and spinach leaves with water, and froze it. probably 6-8 leaves, is that too much for such a small dog? If this is your dog’s first time eating spinach, I would give a smaller amount (1-2 leaves) to see how your pooch would react. Some dogs may find it hard to digest leafy greens. Overall 6-8 leaves doesn’t seem too much. In order for spinach to cause toxicity, kidney problems or bladder stones, your pooch would need to be on spinach only diet. The amount your pup would need to ingest is so high that your dog probably couldn’t even do it.